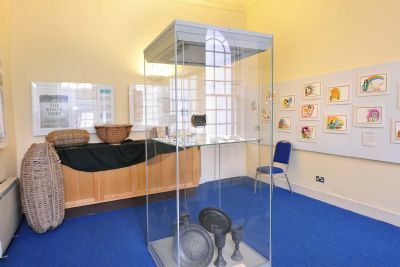 In 2011, to celebrate 400 years since his birth in 1611, the Courthouse hosted an exhibition about Sir Thomas Urquhart and Cromarty during that period. 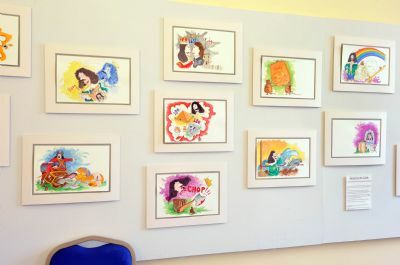 The exhibition included original artwork from a children's book about Sir Thomas which was commissioned by the Cromarty History Society. Sir Thomas Urquhart of Cromarty was an extravagant and eccentric man and a writer and translator with a passionate love for words. He fought as a royalist at the battle of Worcester (1651), was taken prisoner and subsequently tried to buy his freedom by offering Cromwell his plans for a Universal Language. 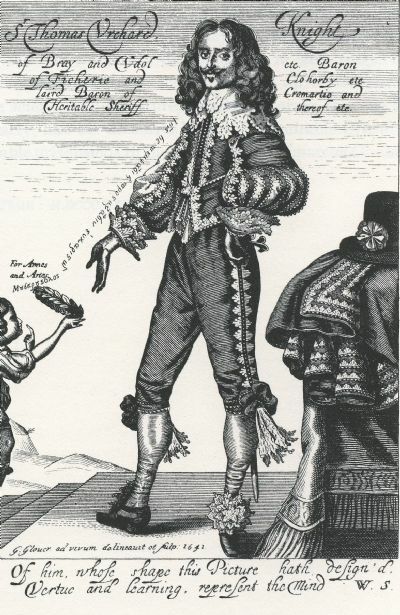 Urquhart is reputed to have died in exile in the Netherlands, expiring in a fit of laughter brought on by hearing news of the restoration of Charles II to the throne. Sir Thomas, although plagued by financial problems, devised schemes to transform the economy of his estate and establish what would, in effect, have been a university of Cromarty. None of these were realised. He published a bizarre treatise on trigonometry, a collection of dull epigrams, his musings on a universal language and a volume tracing his ancestry, generation by generation, back to Adam and Eve. Some of these are best forgotten but he is rightly celebrated as the author of one of the greatest translations of any work of literature ñ his edition of the first three books of the French writer Rabelais' Gargantua and Pantagruel. Rabelais' work is an earthy, rumbustious, larger-than-life story of two giants, which celebrates pleasure and satirises vanity and pedantry. Urquhart's translation is longer, bawdier and more exuberant than the original "more Rabelaisian than Rabelais himself". The twentieth-century critic Bernard Levin has said that translations, like women, are either belle or fidèle either beautiful or faithful but rarely both. Levin considered Urquhart¹s translation to be supremely belle, and his comments, if politically incorrect, would surely have pleased Sir Thomas who delighted in the spirit of Rabelais rather than in accuracy.